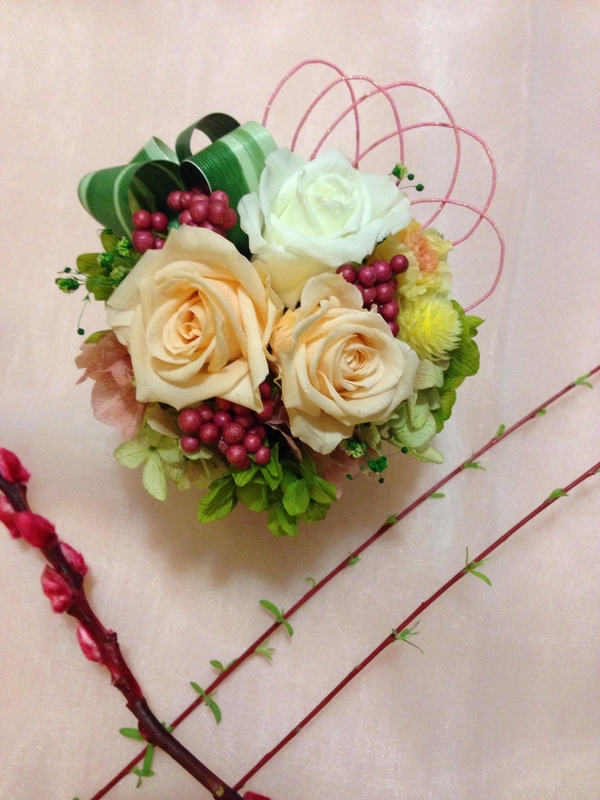 Let's enjoy making preserved flowers together in a classroom in Mid-level Hong Kong island. 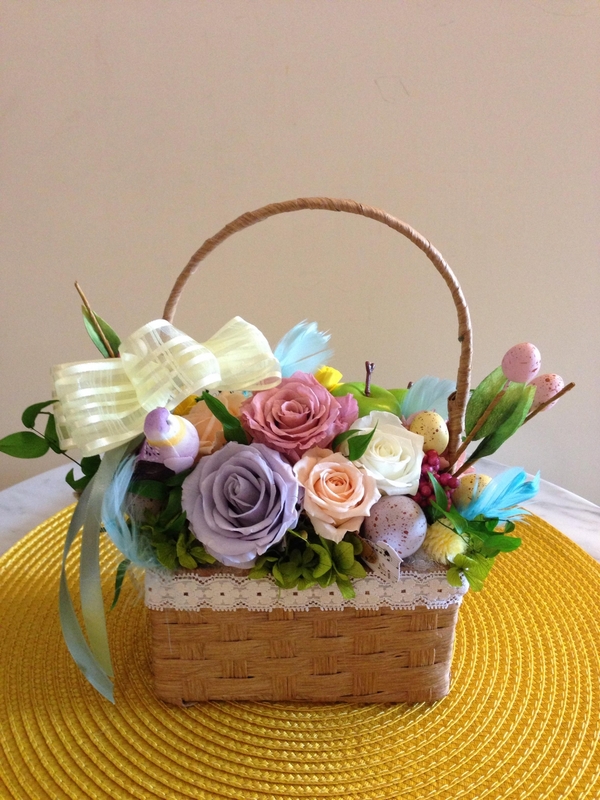 Preserved flowers are perfect for gifts and home decor. 2018.12.08 Please note: I am not in Hong Kong until 9 Jan 2019, so earliest lesson will be 12 January 2019.Sorry for your inconvenience. At HANAZAKARI, we provide course lessons for people who enjoy flowers as a hobby, and also for those who want pursue it as a career. No matter your skill level, anyone can join HANAZAKARI freely. Upon completion of the course lesson, you will acquire a certificate. There is also a seasonal one-day lesson, which is wonderful for gifts and producing arrangements that match the decor of your home. Originating from Europe, preserved flowers combine texturesthat resemble fresh flowers. Preserved flowers are subjected to a specialpreservation process which involves mixing organic dyes with chmicals that are harmless to the body and the enviroment. Unlike fresh flowers, preserved flowers do not require care such as watering nor do they produce pollen. Since they are preserved, you can enjoy their beauty and form for a long time. 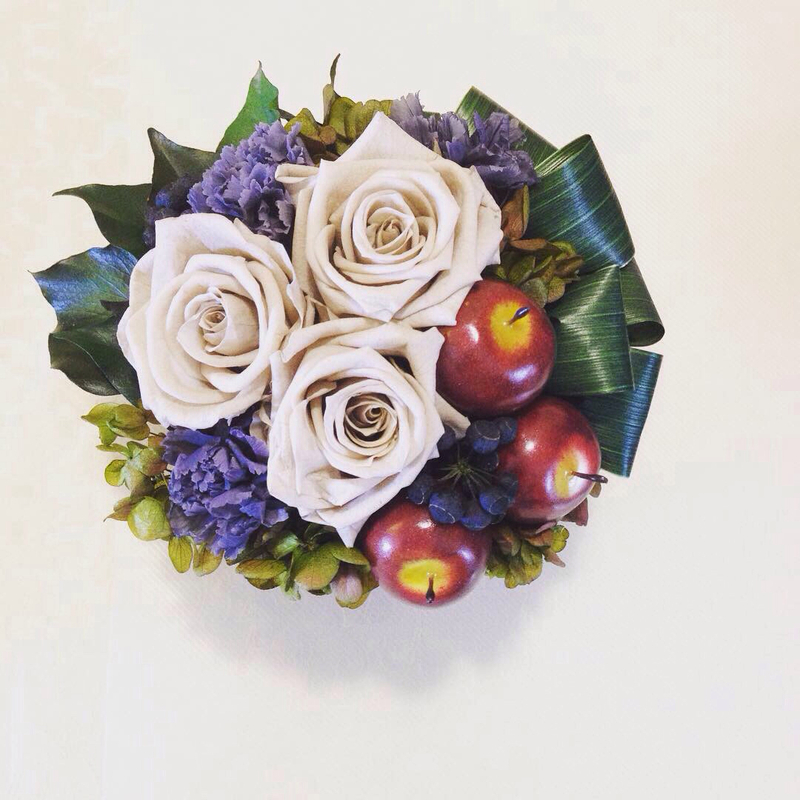 Preserved flowers are perfectly suitable for all occasions from interior spaces to weddings. They also make lovely gifts for special occasions or anniversaries. Preserved flowers are environmentally friendly and abundant in colour variations that are not present in fresh flowers. Depending on the preservaion method or enviroment, you may enjoy the beauth of preserved flowers for up to 2~3 years. Watering is unnecessary. Avoidcontact with water as it causes discolouration. Avoid direct sunlight, hot and humid places. They are fire prohibited, as they contain alcohol and oil. A place with a humidity of 40 to 70% is suitable for storage.In a humid place, the petals may become translucent, but when the humidity goes down, they return. Please take care that small children do not put them in their mouth. There are highly delicate flowers. Please handle with care. copyright © HANAZAKARI some rights reserved.